Is fitting underfloor heating the best solution for a cold conservatory? 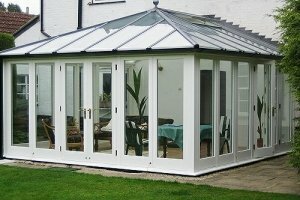 Many conservatory owners have experienced their room being too cold for comfort during winter months. Adding some kind of heating system is obviously one solution to this problem. There are quite a few ways you can go, but here we are going to take a look at the advantages and disadvantages of underfloor heating in a conservatory. As the name clearly suggests, this is a heating system that is built- in under the floor of a room. You may think this is a modern way to heat a room, but there is evidence that it was used as far back as 5000 B.C. in China & Korea. The heating elements are laid down on an insulating layer and then covered by whatever flooring material you intend to use. The way the heating coils are covered will depend upon the type of system you are using. Dry: uses electrical heating cables or mats. Evenly heats the room. No cold spots or hot spots. Warm floor surface. Great for tiled or stone flooring. Energy efficient. It runs at lower temperatures than radiators therefore uses less energy. However, dry systems are costlier to run than wet systems. It takes up no space in the room itself*. No radiators on the walls or portable heaters getting in the way. Can be connected to solar panel systems. No burn hazards. Very child safe. No scalding hot radiators or naked flames. The key feature of underfloor heating systems is that it is very energy efficient. It also unobtrusive and therefore you can place furniture & décor anywhere you like. It takes time to heat up & cool down. Best to set a timer so that the room is “pre-warmed” for when you want to use it. Installation upheaval. Unless you are fitting during the conservatory construction, then there will be a decent amount of disturbance, especially for wet systems. *floor levels will be raised. If being “retro-fitted” then both systems, once installed, will cause raising of the floor level. Wet systems will have the biggest raising effect. The cost. Wet systems can be pricey and need to be installed by a professional. 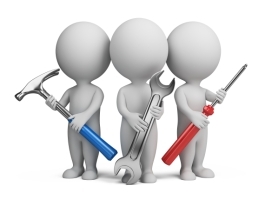 Dry systems can potentially be a DIY project, but a qualified electrician is recommended to do the connections. So, is underfloor heating the best solution for your conservatory? 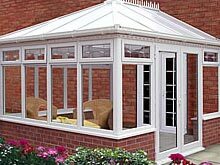 Retro fitting a wet system just for a conservatory could potentially cause a lot of disruption and be relatively expensive. Not to mention the quite considerable raising of the floor level. 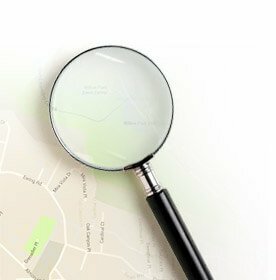 If you are connecting to your existing central heating system, is your boiler up to the task of meeting the increased demand? Fitting during construction is a better option for Hydronic systems. Dry underfloor heating, on the other hand, is quite a good option. Relatively simple to install it should also cost less to install than Hydronic systems. It is also easily retro-fitted. Our conclusion is that there is no doubt that underfloor heating is an elegant solution to the problem of a cold conservatory. However, it is not really that cheap to install.